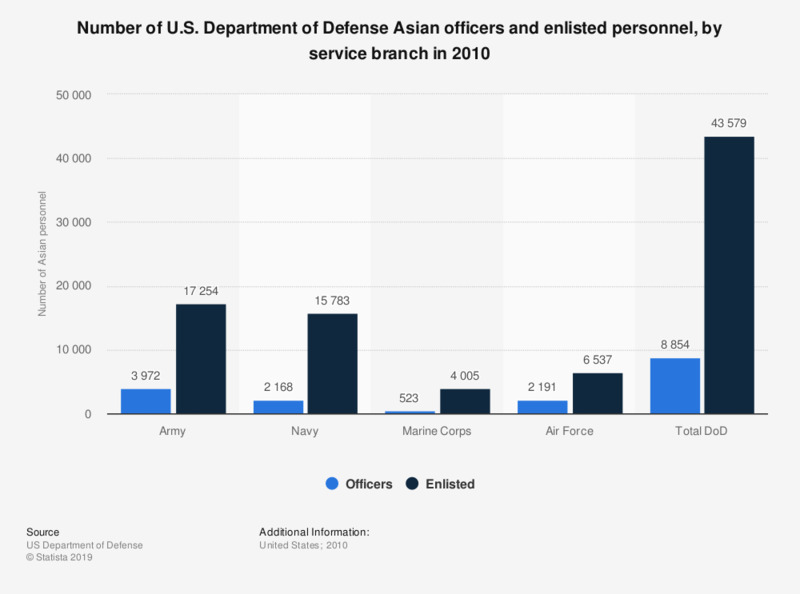 This statistic shows the number of United States Department of Defense officers and enlisted personnel who were of Asian heritage in 2010. The numbers are distinguished by particular service branches of the DoD. In 2010, there were 2,191 Asian officers in the United States Air Force.